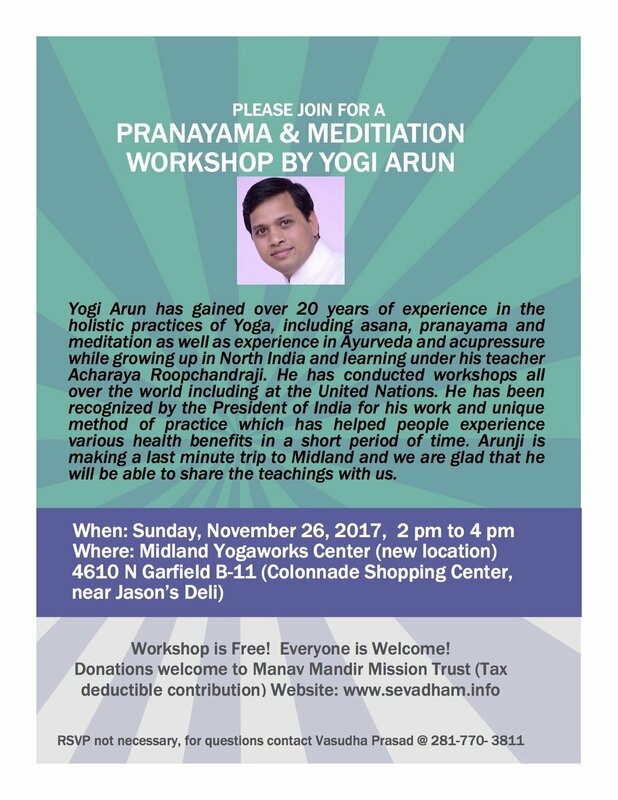 Pranayama and Meditation Workshop with Arun. We are fortunate that Arun is making a last minute trip to Midland and is willing to share is knowledge and experience with us. The event is FREE. He will take donations.